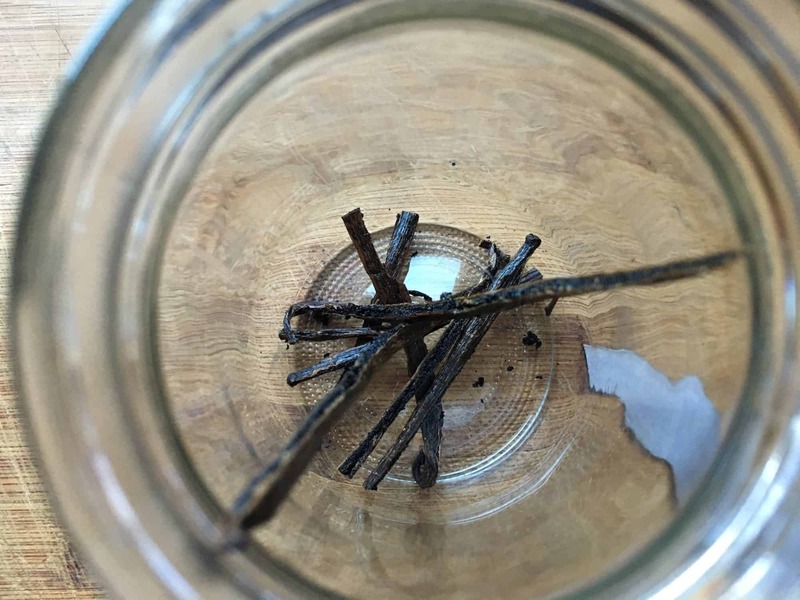 Have you checked the price of bottled vanilla extract at your supermarket lately? You simply cannot afford to buy it anymore! 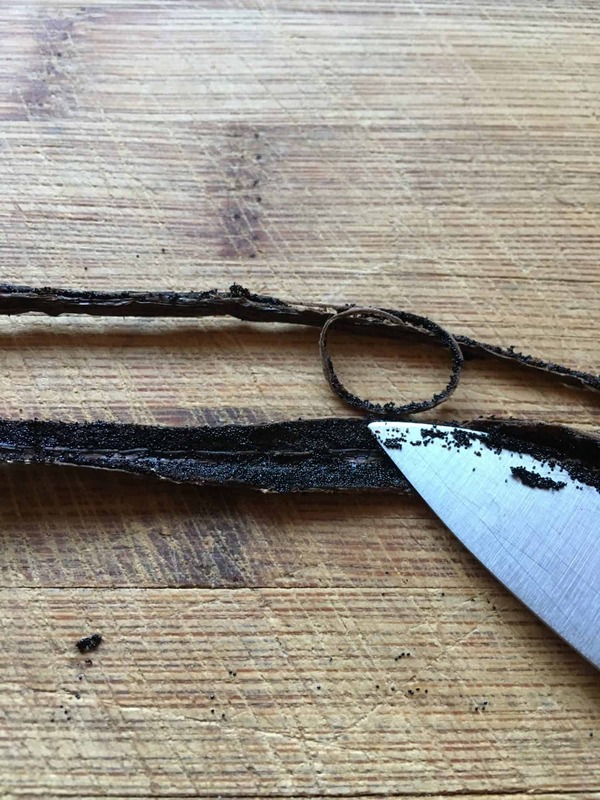 Cyclone damage and climate shift have decimated the vanilla bean crop in several of the countries that supply the world with vanilla beans. That means pricey all up and down the supply chain. Remedy? Make your own! 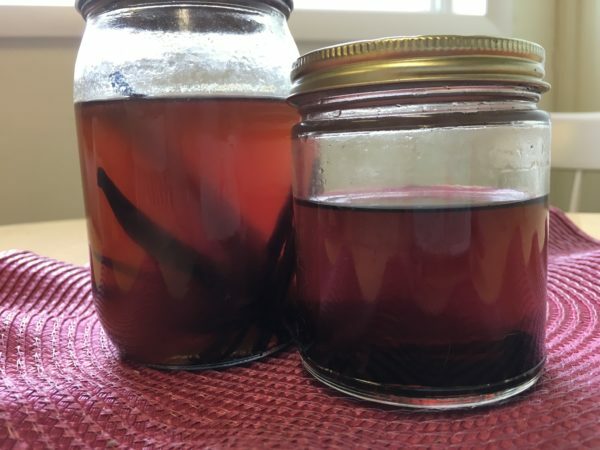 The Instant Pot makes this a super simple and yet very elegant way to make vanilla, and even other extracts, saving you tons of money. And, this is the PERFECT GIFT! As with anything else Instant Pot, there are many different recipes and ways of making this out there on the interwebs. My job is to read them all, distill the information, make it myself and then report back to you. That is exactly what I have done. One of the best tutorials out there is from Marci at Tidbits.com – she has really done her research and has excellent information in her FAQ. She uses the adorable bottles to decants hers in and has links to labels you can purchase. I also got great information from The Kitchn’s article about vanilla in the IP. 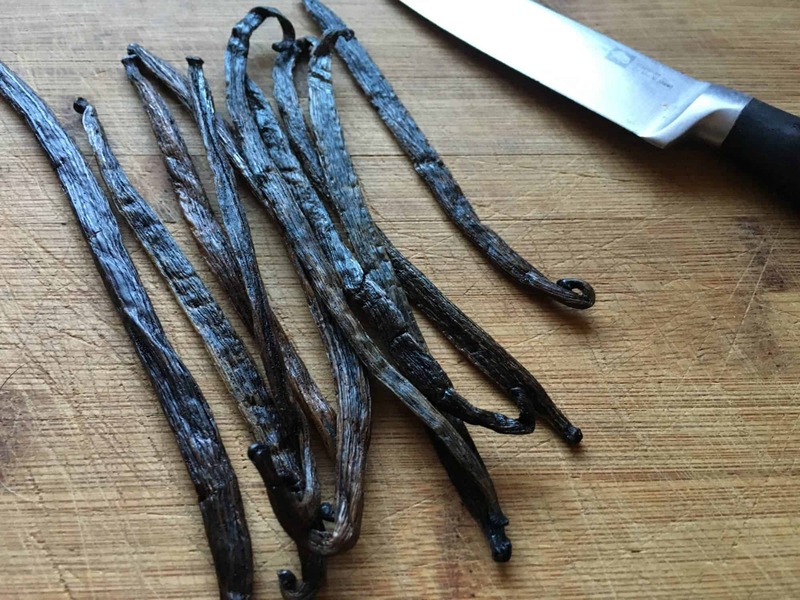 The cheapest way to buy vanilla beans is to buy in bulk. The best price I found for Grade B Madagascar beans was 10 beans for $37.95 from Beanilla.com. Then get yourself a large bottle of Smirnoff red label vodka. I spent @$21.00 for that. Then find some jars – you want a pint jar with a metal lid. The first go around I used one pint jar and one jam jar that looks to be a 1/2 pint. They don’t have to be new, nor does the lid and ring…you are NOT canning this, just using the lid to keep the alcohol in the jars. The many recipes I found online use very different amounts of the bean to vodka ratio. Because I like to keep things simple for me and for you, I bought ten beans and then split them, using five in the first batch, divided – watch the show – then saving the final five for the second batch. The hardest part is cutting the vanilla beans. You want to cut them in half, slice them down the middle and then use the tip of the sharp knife to slightly open the bean to expose the yummy gummy pods or seeds. Put those in the jar. Cover them with @ 2 cups of vodka, leaving a head of about an inch, and then put the lid on and tighten it only slightly – then back if off a little. You want the lid to hold the alcohol in, and not spill, but not be tight. Put the trivet in the bottom of the IP liner, and put in one cup of water. Place the jar, or two or three, on the trivet and lock on the lid. Set the toggle to sealing. Set the pot to manual/pressure cook for 30 minutes. After cooking is done, turn the pot OFF and allow an hour of pressure release and cool down. 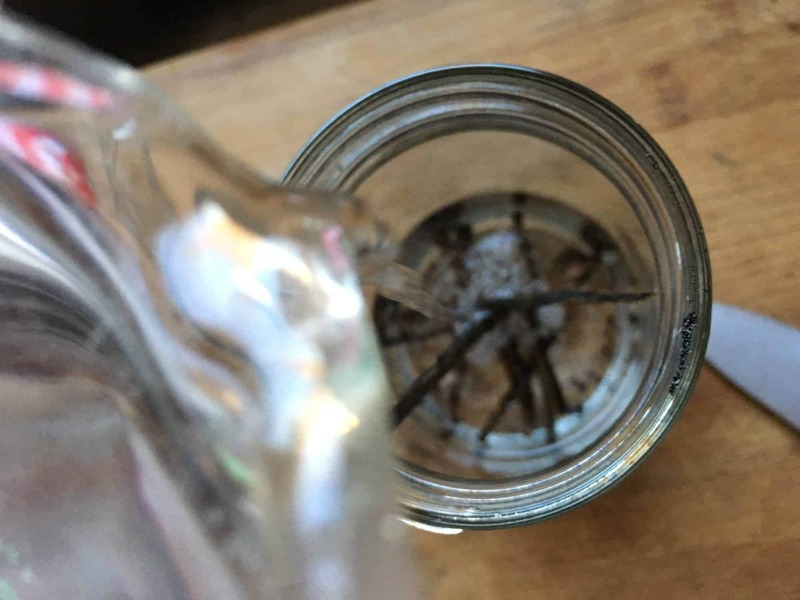 Carefully remove the jar with your awesome Quick and Carry tongs and then let the jars of extract continue to cool. Swirl them around a little to continue to release the vanilla pods even more. 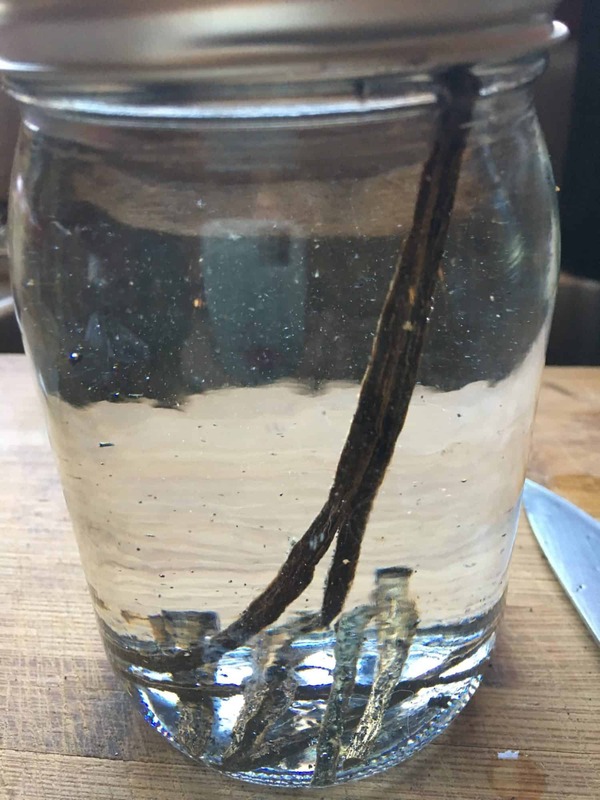 You can use the vanilla right away, but it is best if you let it sit for a couple of weeks, swirling it around every now and then, letting the alcohol mellow a bit. Then, decant into pretty bottles and label. This is the perfect gift for teachers, bus drivers, mail people, friends and family…but especially for yourself! You just saved a ton of money and will have delicious vanilla to flavor all your baked goods! Attention all DIY fans! We are making Homemade Vanilla Extract in the Instant PotPerfect for gifting! Cut the vanilla beans in half, slice them down the middle and then use the tip of the sharp knife to slightly open the bean to expose the yummy gummy pods or seeds. Put them in a pint jar. Cover with @2 cups of vodka, leaving a one inch head space on top of the jar. Place lid, and ring if using, on jar, and tighten slightly...you want it just tight enough that the lid won't come off, but not super tight. 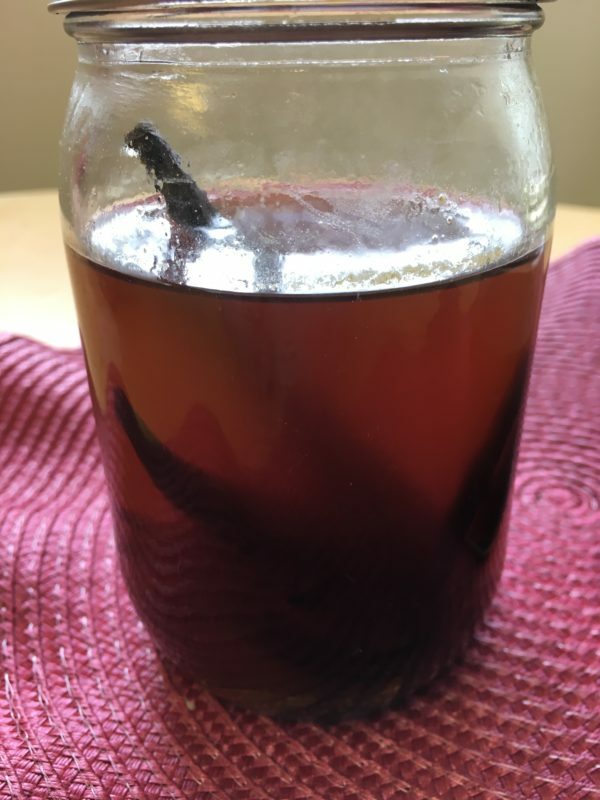 You can use the vanilla right away, but it is best if you let it sit for a couple of weeks, swirling it around every now and then, letting the alcohol mellow a bit. Then, decant into pretty bottles and label.